Slades and Parsons is committed to providing you with resources for the best defence possible. A forensic psychologist has a thorough understanding of the legal process. They are also experienced in assessment and can provide a report for your court hearing. 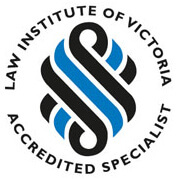 Generally they have experience working with people charged with criminal offences. Sometimes they might provide a report for the court. On other occasions they will attend and give evidence in the court hearing. Slades and Parsons lawyers are happy to discuss with you any need for such assessment and report. We will also help you with the most appropriate forensic psychologist for your case. We will determine whether any personal factors may be relevant to a sentence that a magistrate or judge may impose. In some cases we recommend ongoing treatment and counselling as soon as possible. However, demand means that we may have difficulties obtaining early appointments. If you are already in custody (not on bail) then we can make arrangements for an in-prison assessment. Many factors influence whether you need to engage the services of a forensic psychologist. It may depend on the circumstances of your offending, the level of seriousness of the offence, and personal matters. If health professionals have previously assisted you, you should discuss it with your lawyer. This can include drug and alcohol counsellors, psychological or psychiatric services. A witness can apply to be excused from giving evidence. This can be because the evidence they give may prove they committed an offence. The Coroner can then grant a Certificate to the witness. This means that any evidence you give cannot later be used in evidence. You can then either choose to give evidence with the protection of the Certificate, or continue to object to giving evidence. The Coroner may compel a witness to give evidence, if that is in the interests of justice. If you have to give evidence as a witness at a Coronial Inquest, Slades & Parsons can help you. We have experienced criminal lawyers who can provide legal advice and representation. In particular, we can help people who could be at risk of incriminating themselves through giving evidence at an inquest. A Forensic Psychologist can be an excellent resource to a person charged with a criminal offence. A forensic psychologist has an understanding of the legal process, is experienced in assessment and providing a report for your court hearing. They generally have experience working with persons charged with criminal offences. On occasion they might be asked to provide a report for court and in some circumstances will attend and give evidence if required in the court hearing. Slades & Parsons Lawyers are happy to discuss with you the need for such assessment and report and discuss the most appropriate forensic psychologist for your case. In some cases it is important to determine whether there are personal factors that may be very relevant to any sentence a magistrate or judge may impose. This is part of our commitment to providing you with quality, appropriate resources. In some cases we recommend ongoing treatment and counselling be instigated as soon as practicable however there may be difficulties obtaining early appointments due to demand. If the client is already in custody (not on bail) then arrangements can be made to have an in prison assessment. We can assist you with this process. Whether you need to engage the services of a forensic psychologist will depend on the circumstances of your offending, the level of seriousness of the offence and matters personal. If you have had any previous assistance from health professionals, drug and alcohol counsellors, psychological or psychiatric services it is important to discuss these matters with your lawyer. We can then recommend the best resources for you. A witness can make an application to be excused from giving evidence on the grounds that the evidence they give may tend to prove that they committed an offence. The Coroner may then grant a Certificate to the witness, which means that any evidence they give cannot later be used in evidence. The witness can then either elect to give evidence, with the protection of the Certificate, or continue to object to giving evidence. The Coroner may compel a witness to give evidence if it is in the interests of justice to do so.